Android has developed classic applications that many people may find it hard to live without. Due to the desire to experience them, we tend to download each and every application we find attractive. This leads to reduce storage space in our phones. The good thing is the fact that these android apps can be moved to the SD card by a simple process. The following are the basic steps used to move apps from the internal storage to an external SD card. Press the app icon to open the list of apps available on your phone. Select and open the “settings” option. 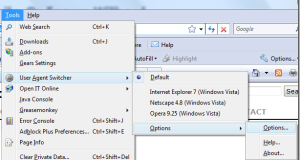 Under the settings option, select and open the “Application” option. Once you have opened the “Application” option, the “Manage application” option will pop up. Click to open it. A list of applications will be listed. Choose the application you would wish to move from the phone to SD card one at a time. 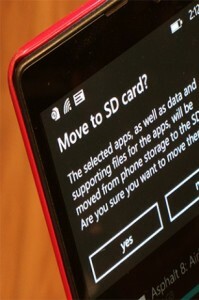 Once you have selected the preferred app, an option to either “Clear data” or “Move to SD card” will pop up. Select the “Move to SD” option. This action will prompt the movement of the app from internal storage to SD card. This process usually takes a few seconds depending on the size of the application installed and been moved. -Some applications have been modified to perfectly operate on internal storage only. Such applications cannot be moved to external memory storage. -Not all versions of Android support the movement of apps. Only phones operating on android version 4.0-4.2 support this action. Android 4.3 only supports moving in certain phone models. Moving of applications from internal storage to an external storage such as an SD card has helped many Android users acquire a much needed space on their devices.